I believe in mermaids. Not the existence of mermaids even though much of the ocean is swallowed in mystery. It is estimated that only five percent of the ocean has been explored according to the NOAA. 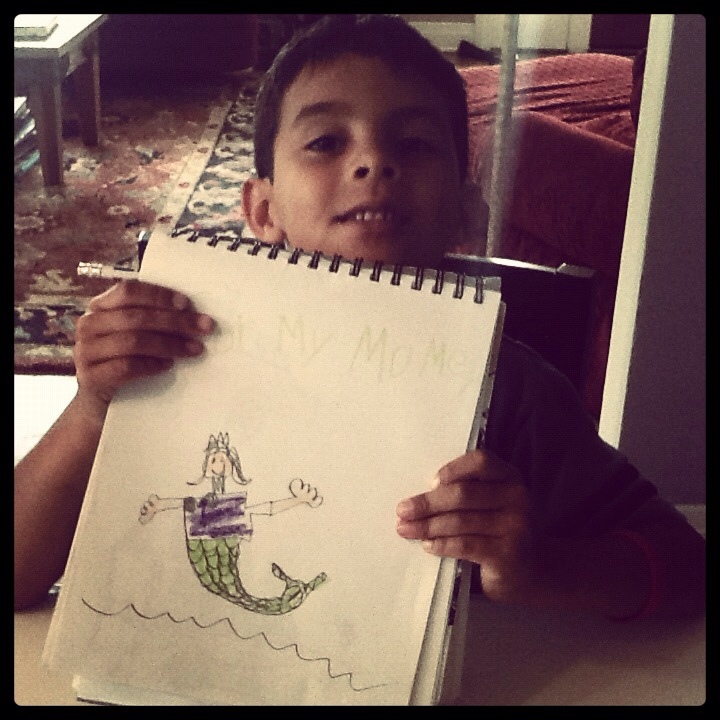 The mermaid is my muse for my Eat Less Water book project. She swims in our runoff, she gulps the poison of chemicals and chokes on trash. She dives and dances in the clear magic of clean water. Maybe we are all unknowingly mermaids. Just like the mermaid our existence relies on clean water. Mermaid images swim about my house. 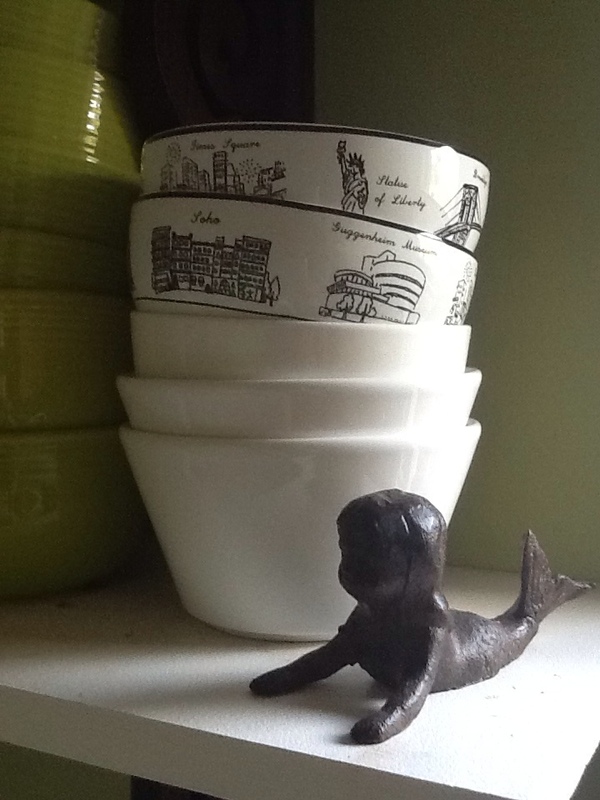 My favorite is a child mermaid that sits amongst my bowls in the kitchen. The mermaids guide me in my work to protect and preserve clean water. Maybe we all need to believe in mermaids. Thank you for a gentle nudge. I love mermaids, too and love the work you are doing with Eat Less Water.